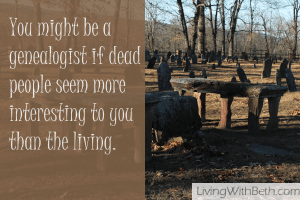 This is part two of a two-part post regarding things you might find disturbing about researching your family’s genealogy. As mentioned in part 1 of this series, life wasn’t easy for your ancestors, and humans weren’t always kind to one another. Many people died young, even if they survived infancy and childhood. 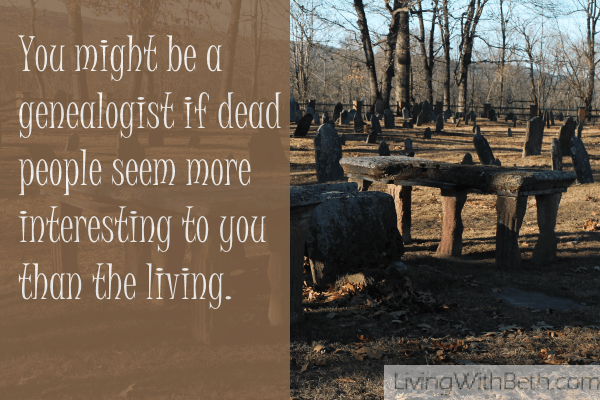 Here’s part 2 of my list of 10 disturbing things about researching your family’s genealogy. From the time I found out that my Stockdale ancestors changed the spelling from Stockdill, I wondered why. At first, I figured that people just didn’t care that much how their names were spelled or that people might bow to peer pressure and spell it the way they saw other families spelling it. Later, as I learned more about the historical context of the time, another theory took hold. Around the time that my grandpa’s grandfather changed the spelling of his last name, the Irish had become the most hated immigrant group of the time period. Thousands fled Ireland’s great potato famine for what they hoped would be a better life in the U.S. Instead, they were relegated to the lowest-rung, most dangerous, poorly-paid jobs. People widely believed that Irish were the worst sort of people – drunks who were stupid and habitually violent. The Stockdills had settled in Western Pennsylvania several generations before that, but they must have felt the pressure of the Irish stereotypes. It would make sense for them to change the spelling of their last name from the Irish version, Stockdill, to the English spelling of Stockdale. That’s just my theory. Nobody knows for sure. When I met and later married my husband, neither of us realized how deep his roots were in Western Pennsylvania on both sides of his family. I used to tease my mom that if she’d married someone from her hometown, she’d have married a cousin for sure, since we seem to be related to everyone there. Now I realize that it’s possible that I married a relative, too. It’s possible, though at this point, I’m thinking it’s unlikely, since I haven’t found a blood link going back several generations. However, I have found two instances where a relative of his married a relative of mine. That’s not at all surprising, since we’re talking about a rural area that was sparsely populated, with a rather small pool of marriage prospects. Some of his Irish/German protestant relatives were bound to encounter my Irish/German protestant relatives during their lives. Throughout most of recorded history, love was considered a flimsy reason to wed. Parents generally chose their children’s spouses. 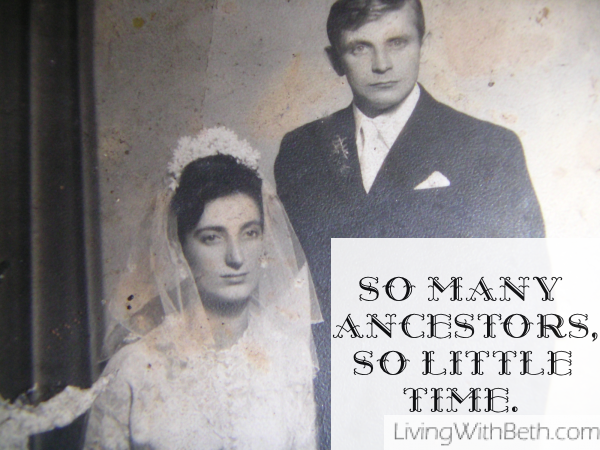 Even well into the 20th century, I wonder whether some of the couples in my family history married for love or necessity. Widowed men and women with children had to get remarried right away. Say you’re a widowed man with children and you don’t have a live-in relative, such as a mom or spinster sister, to care for them. There’s no such thing as day care. Your choices are to relinquish your children to a relative or stranger to raise or marry another woman – pronto – to care for your family. Things were even more urgent for a widowed (or divorced) woman with kids. Women had very few career choices, and child care choices were limited. In this situation, immediate remarriage probably looked like the best option. It’s a win-win situation. 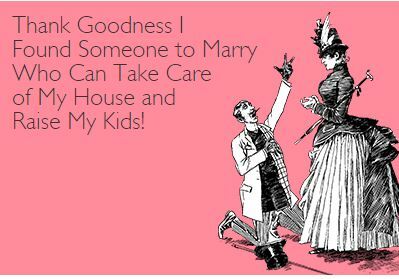 A widowed man with children needs someone to raise them and keep house, and a widowed woman with children needs a provider. Her only skills are housekeeping and child-rearing. With no cars for easy long distance travel, you probably wouldn’t have many choices of potential marriage partners, especially in rural farming areas where the population was spread out. You might meet someone at church or at the local fair. You sure wouldn’t have the luxury of waiting for Mr. or Ms. Right or to fall madly, passionately in love with someone. But don’t worry too much. After the marriage, you’ll both be too busy trying to survive to actually spend much time together. Divorce has actually been possible (though often stigmatized) in most societies throughout history. Divorce rates even spiked to around 30 to 40% in the years right after World War II ended. Early death was probably more likely than divorce until fairly recently. As mentioned above, people often married for reasons other than love, but chances were pretty good the marriage wouldn’t last anyway. There don’t seem to be any statistics going back before the 20th century. I’m judging from my own family’s genealogy. Even if a man lived to the age of 20, as recently as the early 20th century, he’d probably be dead by the age of 60, and, in many cases, long before. What killed people? Before labor laws, men (and even some children) worked in extremely dangerous conditions. Illnesses like TB and appendicitis were deadly. People died in droves due to flu epidemics, typhoid and other contagious diseases. My own family history includes a man in the early 20th century who was married and had kids with three different women. His first wife died in a flu epidemic. After his second wife passed away, he married for a third time to a young widow with a baby. They had one additional child together. 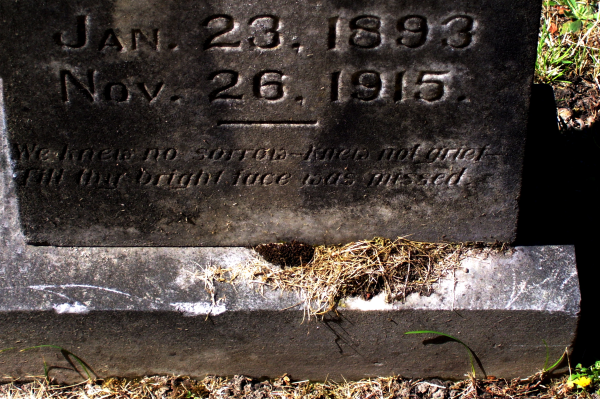 The man died in his 50s of tuberculosis, and his third wife outlived him by around 20 years. One of his children from his first marriage, a girl, ended up being raised (and later adopted) by his childless brother and sister-in-law. There don’t seem to be any statistics available for how many marriages in the early 20th century and before that ended because one partner passed away. I’m basing this on my own family’s genealogy, where I’ve found quite a number of spousal deaths and remarriages. Let’s face it. People have had different ideas of acceptable behavior over the course of history. We even look at things differently today, depending on our perspective. Celebrities on genealogy shows often seem shocked when they find out that their southern ancestors owned slaves. Their relatives probably did lots of other things that we’d now consider barbaric or even criminal. As mentioned above, they may have been racists or, at the very least, believed a number of racial and ethnic stereotypes. People who lived in rural areas like my maternal ancestors probably had very little contact with people who weren’t like them. So, they most likely subscribed to whatever it seemed like other people thought of ethnicities outside of their own. Authorities used to execute criminals for minor infractions. Humans in general were much more violent in previous generations than they are now. And then there are the weird ways in which people used to treat their own illnesses and those of their children and spouses. They probably smelled terrible, too, and didn’t bathe very often, before indoor plumbing became common. 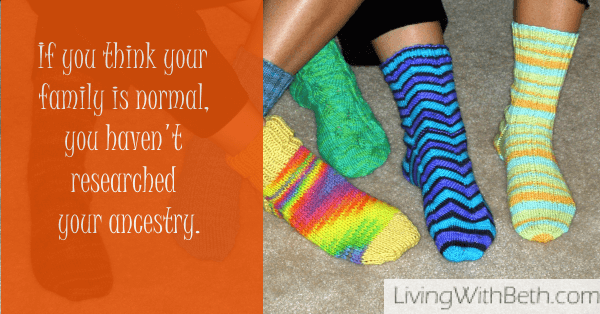 What’s the most disturbing thing you’ve found out about your ancestors? Were you surprised by this? Why or why not? Save on Wedding Paper & Win a Celebrity Wedding Experience!